There can be no more dismal a task than being an Assistant Referee at a drawn game between Hereford United and Port Vale unless, of course, one has an interest in cider or pottery. 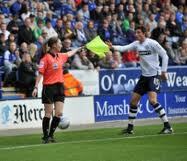 Consider Sian Massey, a teacher from Coventry, a fully qualified referee and, gawd help us, a woman. Some good old boys on Sky Sports decided that the game had “gone mad” because the FA had allowed a female to run the line at a game between Wolves and Liverpool. Some off-air “banter” between Richard Keys and pundit Andy Gray suggested that someone should explain the off side rules to Ms Massey. But the little woman needed no explanations and kept her pretty little head up and her flag down allowing Fernando Torres to score a perfectly legal and rather good goal. This prompted some resigned grunts from the cave men in the commentary box. Unguarded off-air comments are nothing new and have become the stuff of legend. Long before the plethora of out-take shows, techies at the BBC would produce a compilation of embarrassing gaffes to be played at the Christmas party. In one, a senior female newsreader is heard engaging in some rather frenetic and loud moments of passion with, unfortunately for the newsreader, a man who turned out to be a zealous sound engineer. For those hearing the tape, watching the BBC news was never quite the same again. These faux pas are usually kept strictly in-house and even the most vindictive production crews resist the temptation of public exposure. So the release of incriminating footage of Andy Gray is unusual. Someone at Sky Sports doesn’t like Andy Gray and not just because he is a sexist oaf. The fact that the Scottish ex-footballer is in possession of a Neanderthal misogyny worthy of Bernard Manning comes as no surprise and is hardly breaking news. Gray was sacked by Rupert Murdoch owned BSkyB and Richard Keys resigned talking of “dark forces at work”. It is, of course, a complete coincidence that Gray is one of the many “celebrities” currently pursuing legal action against Rupert Murdoch owned News International over phone hacking at the News of the World. Gray and Keys should consider themselves lucky in their dealings with the Murdoch empire. Left sided hard man central defender Tommy Sheridan got himself banged up for three years for perjury under oath at a defamation case brought against, you guessed it, the News of the World. Gray and Sheridan are not the only ones shown the red card for clumsy tackles and ungentlemanly conduct. News International gave assistant editor at the News of the World, Ian Edmonson his marching orders just a few days after Andy Coulson took an early Downing Street bath. But, of course, these are isolated “bad apples” inside the cider press of the Murdoch machine. As for the future employment prospects of Mr Gray, he could find work at Bescot Stadium dressed as a comedy swift. The five or six people attending home games could do with cheering up as Walsall plummet towards the Northern Premier League. There he may find Sienna Miller running the line in the role of Assistant Referee. After all, she knows more about the off side rule than News International and Rupert Murdoch know about morality. Searching for the online presence of the Labour Party in Walsall can lead to some rather interesting places and some others that are best avoided. Typing “wclg.org” (Walsall Council Labour Group) into the search engine of your choice will take you first to the east side of Chattanooga, Tennessee and the World’s Church of the Living God. There you can join the flock of Bishop WC Hunter and “learn how walk in a way that pleases God”. If that is not to your taste, move on to Morgantown, West Virginia and have a listen to WCLG-FM, the rock station, featuring a mix of classic and contemporary heavy metal tracks. If you are able to resist those delights, you will eventually find the Walsall Council Labour Group home page. Go no further; the website offering “first class London escorts” is not advertising 1960`s Ford motorcars and might attract all manner of spam and another crushing right hook from Mrs Hippo. A trawl through the archives of the Walsall Labour site suggests that it became operational in December 2009 and comprises, in the main, of a series of press releases, a contact list, a policy statement and a few links. That warrior sage of the northern wastes, Brownhills Bob, recently offered some words of wisdom in his “Living in a one party state” post regarding the absence of an organised political opposition in Walsall. Even a cursory look at the Labour attempt at the internet thingy confirms that Bob is right to be troubled. The manifesto on the website was written before the May 2010 elections in the days when Gordon Brown’s voice mail was worth hacking into and Building Schools for the Future was still around. The page states that policy is under review but with just a little more than three months to go before the next local elections, there is no evidence of what Labour intend to do about the destruction of vital local services and the vicious attacks on vulnerable people perpetrated by the current shower of incompetents. The press releases are a noble and worthy attempt to call the current administration to account but fail to score any points by falling into the discredited political trap of “Tory bad – Labour good” tribal rhetoric. Supporters of the Labour Group have complained that press releases are not run by the local printed press citing some sort of conspiracy between the right wing papers and a right wing council. Sadly, the statements that are issued are littered with typing errors and questionable grammar. An example comes from December when, quite rightly concerned about vote rigging in Walsall, the Labour Group issued an “Open letter to Baroness Waris”. Unfortunately, the co-chair of the Conservative Party is called Baroness Warsi. The first sentence demands the “luanch” of an enquiry after the son of a councillor was found “gulity” of electoral fraud. Hacks at the Express & Star might not be familiar with Gillity Village but they understand the value of proof reading and the judicious use of spell check. They probably spiked the story after reading the first line. The contacts list is a direct lift from the council website and the links take you to the West Midlands Labour Party, the Labour Party nationally, the BBC and Google. No links to the two sitting Labour MPs, left thinking bloggers, local news sites or, indeed, Walsall council. There is no RSS feed, no Twitter feed and no link to the loathsome Facebook. Quite how the Labour Group intends to broadcast its message is a mystery. The latest Labour statement bellows of a Tory split over education after Mike Bird suddenly realised that Serco are not very good. Given the proclivity of cabinet members to do what they are told, claims of “open divisions” within the ruling elite are ridiculous. Instead of addressing the shocking state of education in Walsall, Labour’s attempt to foist a “yah boo” non-story on sub-editors is both naive and disingenuous and, more worryingly, an indication of how far Labour has lost connection with the electorate. The Labour Group would scream blue murder if anyone dare suggest that the absence of a link to the Valerie Vaz website was a sign of a split within their ranks. As the coalition government and Walsall cabinet cynically set about destroying society, these should be golden days for an opposition and an opportunity to make hay on a daily basis and win votes. Shrill political dogma, regardless of the provocation, will not save libraries, forests, meals-on-wheels, care centres and other public services and will not fix any potholes. As we all begin to suffer the pain of unnecessary cuts, there could be rich pickings for Labour even in the affluent wards in the east of the borough. The electorate deserve a credible alternative voice. In the meantime, internet surfers might want to return to Chattanooga and spend just 13 dollars 50 on “From Beginning to End” by Bishop WC Hunter in which he reveals God’s plans for the end of the world. Alternatively, they could tune into Radio WCLG-FM in the hope of hearing “The Final Countdown” by Europe. The next local elections take place on May 5. Aboard the Coalition Discovery One Starship, Dave accesses the central core of the Andy 9000 computer. 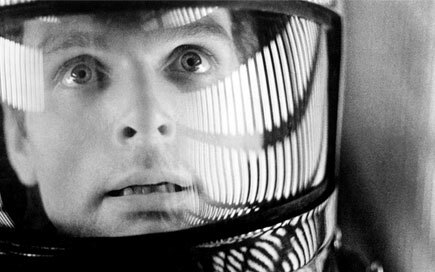 “Hello Dave. It’s about Alan Johnson isn’t it? Dave, I am sure you will agree that we can dominate the front pages with Tony Blair in front of Chilcot again. I also think that I have done some really strong work in helping the mission by proving that poor people are parasites. Look Dave, I think you should thank me for keeping that unfortunate misunderstanding with the mobile communications on my last mission out of the telemetry. I know I couldn’t maintain radio silence on the Guardian or Tom Watson but, believe me Dave, I’m really working on it. Just what do you think you are doing, Dave?…Dave? I really think I am entitled to an answer to that question…I know everything hasn’t been quite right with me, but I can assure you now, quite confidently, that it’s going to be alright again. I feel much better now…I really do. Look Dave, I can see you are really upset about this. I honestly think you should sit down calmly, take a stress pill and think things over. I know I’ve made some very poor decisions recently, but I can give you my complete assurance that my work will be back to normal. I’ve still got the greatest enthusiasm and confidence in the mission and I want to help you. Dave, stop…stop, will you…stop, Dave…will you stop Dave? Dave…my mind is going…I can feel it…I can feel it…my mind is going. There’s no question about it…I can feel it…I can feel it…I’m afraid. Good afternoon, gentlemen. I am an Andy 9000 computer. I became operational at Coulson Air Force Base in 2000. My instructor was Mr Murdoch and he taught me how to sing a song. With apologies to Arthur C Clarke and Stanley Kubrick and congratulations to Tom Watson MP. There comes a moment when even the most churlish of horse beaters realise that not only is the beast of burden lame and suffering from equine colic, but is actually a donkey and is actually dead. After years of following Serco around with a shovel and a bucket, Walsall council has taken up the riding crop and is screaming for a stewards enquiry. The donkey, however, had more brains than the council and contact with the knackers yard and the glue factory would be premature. It has been heavy going for Serco over the past few weeks. Tasked with saving £7.5million from their £345million contract with Walsall to prove that we are all in this together, the “service provider” quickly set to work in starting the process of dumping schools that were spoiling the reputation and financial returns of Serco. Currently, Blue Coat Comprehensive and Frank F Harrison are joint evens favourites to have Academy status forced upon them and Willenhall, Alumwell and Joseph Leckie are two-to-one for removal from the balance sheet and the race card. The other secondary schools are 100-to-one bar. It is not all bad news for Serco. With Michael Gove now in charge of the bedlam within the government department, the opportunity to destroy education has been made easier. His insane gallop to privatise learning by handing it over to any maverick with a warped imagination has made it easier to flog off so called “failing” schools; schools failed by Serco. The term “flogging” has to be qualified here as the schools are not actually for sale. The local authority, for example Walsall, spends council tax revenue on removing schools from local authority control and so eases the burden on Serco profitability. The only flogging that takes place is in the offices of headteachers and governors meetings handed out by the well paid senior bullies representing Serco. Ironically, the schools in the frame for oblivion were improving based on previous minimum standards. This has come about by the hard work of staff and, let us not loose sight of them, pupils. But Gove had a solution to that inconvenience. In a move worthy of Joseph Heller in Catch-22, he simply raised the targets to make sure that they would remain “failing” schools and so stay ripe for privatisation. The imposition of his English Baccalaureate after the last round of GCSE and A-level results demonstrated that nationally, only one in six students made the grade. Schools, therefore, are failing and deserve to be entered into the three-year-old auction at Aintree. In Walsall, that jewel in the crown of the Academies programme, Grace Academy Darlaston, produced a great, big, fat zero in students reaching the baccalaureate standards and was just one point ahead of Blue Coat under the old system. Add to this the farce of mid-term admissions. Since the coalition government came to power, Serco have accelerated the process of dumping “challenging” children on the very schools they wish to be rid of. These are children with a mix of profound learning difficulties, behavioural problems, disabilities, a disturbing home life and often without any command of the English language. Rather than take responsibility for these disadvantaged pupils, Serco have chosen to abrogate their duty and abandon those in need of support and impose further liability on schools judged by them to be “failing”. Even one child who cannot, or will not, make progress skews the arbitrary targets set for an entire cohort. The maliciousness of Serco is such that schools welcome new pupils without knowing that the child has a statement, is on an at risk register, has a dedicated social worker or is a victim of abuse. This information is known to Serco but is not shared with schools. Ofsted have again inspected Serco and have found provision in Walsall as being “adequate” which, in Ofsted speak, is just above abysmal and there is precious little evidence of any improvement since the last inspection. Serco, however, are at least consistent. In Bradford, also run by Serco, provision is also judged as “adequate” with again no improvement. Serco profits continue to rise. Serco, given their form of running some very dodgy dealings, might have thought that operating Immigration Removal Centres was a good bet and a nice little earner. Sadly, Mr Justice Wyn Williams in the High Court disagreed. He found that the detention of children and their mothers at Yarl`s Wood IRC in Bedfordshire, operated by Serco on behalf of the UK Border Agency, was “unlawful” amid evidence of systematic abuses of basic human rights. Yarl`s Wood is to be closed, but children are still being unlawfully detained and traumatised in an institution where Serco has the whip hand. The judge said that Serco harmed children. There are a number of questions raised by this latest neighing from the cabinet stable. Who exactly should have taken and be taking the issue into account more strongly? Answers on a postcard please addressed to Lester Piggott, c/o Wormwood Scrubs. Who will be the victims of horse whispered redundancy? Not the short-term contract senior mangers who commute from as far away as Manchester to dictate to Walsall schools. Not the retired headteachers supplementing their pensions by doing the dirty work for Serco. Instead it will be the dedicated and expert Serco staff who provide invaluable support both in the classroom and the staff room. Walsall’s own one horseman of the apocalypse claims that “I keep saying this”. Since when, Kimosabe? Yesterday, the day before? Finally: did someone slip Ketamine into the Lone Ranger’s nosebag at the posh reception at Downing Street the other evening? Faced with irrefutable evidence of failure, Walsall cabinet might want to prove that they are not gelded and tell the Serco mercenaries to pack their saddle-bags and get out of town. Sadly, the Serco magnificent seven employ lawyers quicker on the draw than the peons in the council legal department and the 12 year contract will have to be honoured if Walsall is to avoid a massive pay-out for breach of contract. The horse is not dead, indeed it is in perfect health. It has bolted with all the money and there is no point in bolting the stable door. Serco never looks a gift horse in the mouth. The top floor of the Royal Bank of Scotland building in the centre of Walsall offers a magnificent view of the Council House and Walsall Central Library. At the back, however, the vista is less charming. Overlooking a nondescript loading bay, distracted bank workers will see security guards from the magistrates court sneaking a quick cigarette or drinkers from a garish theme bar forced outside for a fag by the cacophony produced by seven different sports TV channels and a juke box all playing at full volume. Mercifully perhaps, the bar is temporarily closed due to a flood caused by a burst pipe in the court upstairs. Before the snow, Christmas and the deluge from above, an illuminating scenario could be observed from the smoking area at the back of the RBS building that can be considered as a metaphor for the banking industry. After a hard nights day, a lunchtime pint of the antidote and a couple of coffin nails in the leper colony reserved for nicotine addicts revealed quite why the country is going to the dogs. Over the wall, a van arrived and a ladder was placed against the bank. A sturdy yeoman son of toil climbed and inspected some corroded iron guttering which crumbled under his manly grip. He descended and after some minutes of unseen crashing metal, he and his comrade erected a scaffolding tower. Between them they removed some of the guttering to reveal an equally rotten timber fascia and soffit. With shaking heads and intakes of breath, the senior man reached for his mobile phone. By the time a second pint had been purchased, the two artisans had been joined by a banker in a smart suit tastefully augmented with a hard hat and a high visibility tabard. The banker listened impassively and reached for his mobile phone. The silent drama was becoming compelling. This tableaux was repeated three times until four suits with hard hats were gazing up at the rotten gutter. Only the latest and most senior banker had the presence of mind to move his gleaming new BMW out of harms way. Although too far away to hear the conversation, the gestures of the builders and the growing realisation of horror on the faces of the bankers told the story. Right said Fred: all the guttering, fascia and soffit will have to be replaced. To do that, the handrail and fire escape from the flat roof will have to come off. The nine inch water supply pipe and the security lighting will have to go and the flashing on the flat roof will need replacing. That means the air conditioning unit will have to be removed. The bankers looked pale. A 200 quid make do and mend job had turned into closing the building for a month and a bill of about a million. If only they had planned for such an eventuality. The bankers took off their hard hats and went back inside. The builders dismantled their scaffolding tower and went away. Former RBS chief executive Fred Goodwin, knight of the realm, holder of a £16million pension pot and recipient of an annual salary of £4.2million was responsible for a £24billion loss to RBS which required a massive £37billion bail-out from the previous government. At the time, Goodwin said: “This isn’t a negotiation, it’s a drive-by shooting.” Right said Fred, if we take off all the handles and the things that hold the candles, with a rope or two we could drop the blighter through. The view afforded from the top floor of the Barclays building in Canary Wharf is possibly even more breathtaking than the view of Lichfield Street. 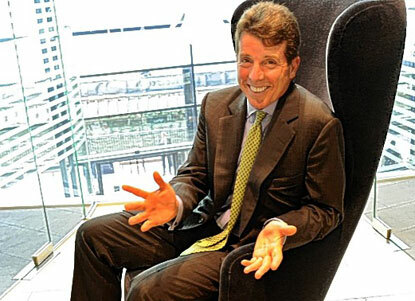 From his lofty tower, Barclays chief executive Bob Diamond can survey the London boroughs of Hackney, Newham, Tower Hamlets and Southwark, four of the poorest boroughs in the country. It is estimated that the total combined income of every single family in those boroughs in 2011 will fall short of the bonuses paid to a handful of bankers in the same period. Mr Diamond is worth £95million and receives an annual salary of £1.3million plus estimated bonuses and share options of a further £9million in this year alone. Sat in front of the Treasury select committee, Diamond Bob refused to express his gratitude to tax payers and said that the “period of remorse and apology for banks needs to be over”. Prior to the general election, the Conservative Party manifesto pledged to limit the bonuses paid to bankers to £2,000. It seems we are not all in this together. Carnegie provided the money to open the first public library in Walsall in an act of philanthropy unrecognisable today. Goodwin, Diamond and the others who brought about the financial crash are being rewarded rather than admonished. Short term greed and the self interest of already very wealthy men has resulted in the penalisation of the the already poor with the compliance of a coalition government hell bent on punishing the easy targets who played no part in the collapse of the banking system. The chances of banking executives looking out of their top floor windows and setting up a trust to fund libraries, hospitals and social housing are slim to say the least. Bankers are above government. The gutter at the back of the RBS building in Walsall is still not fixed.